Today is National Ferret Day- a day dedicated to the smart and sprightly animal that many call their companion. Did you know, male ferrets are called Hobs, female ferrets are called Jills, and their offspring are called Kits? Get this- the whole clan of ferrets is called a Business! Ferret lovers have been officially celebrating this day since 2014 when Carol Roche of New York and the American Ferret Association created this national holiday. 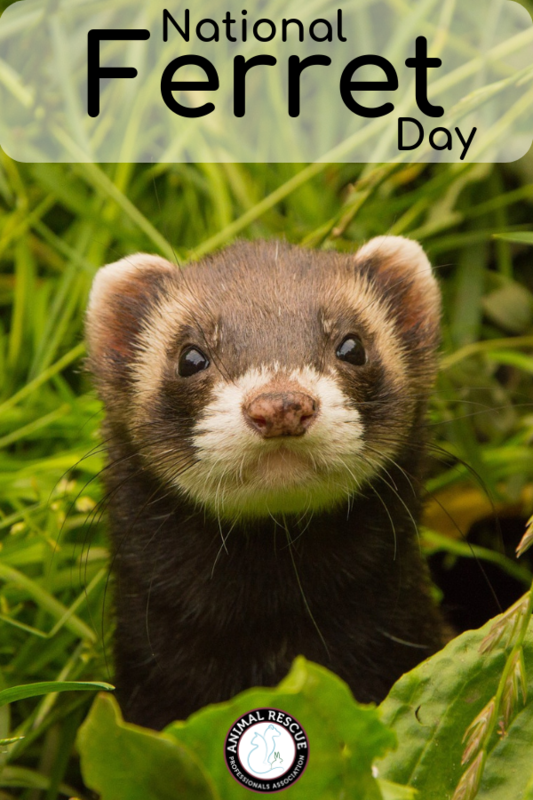 So whether you have a Hob, Jill, Kit, or a whole Business of ferrets, let’s celebrate these fun creatures today! Domesticated ferrets can be litter box trained. It is recommended that you start training your ferret as young as possible since babies tend to take to the idea better than adults! These animals have scent glands which release smells as a defense. Some say they are pleasant smells reminding them of corn chips or tortillas, while others hate the smells and say they are skunky. Ever seen a “ferret war dance”? This excited behavior is seen exhibited by most animals in the weasel family. Scientists believe the behavior is used to confuse or disorient their prey. 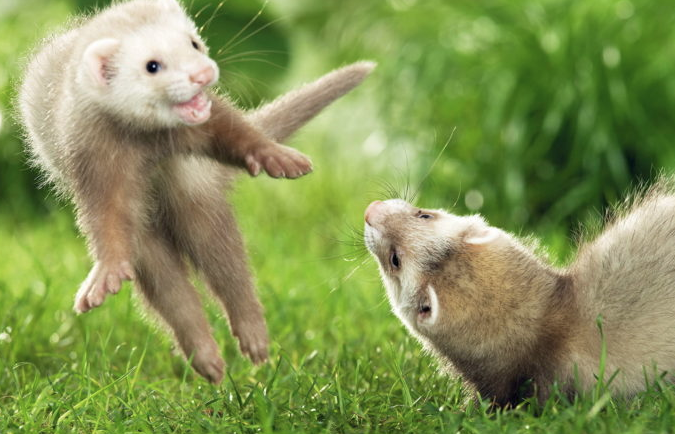 In domestic ferrets, they usually “dance” to show that they are having a good time, and will often do it after capturing a toy or stolen object. A newborn ferret is so little that it can fit in a teaspoon. Now that’s small! Ferrets are related to wolverines, minks, and weasels. They are carnivorous creatures with a high metabolic rate, so they eat about 8 to 10 little meals per day. 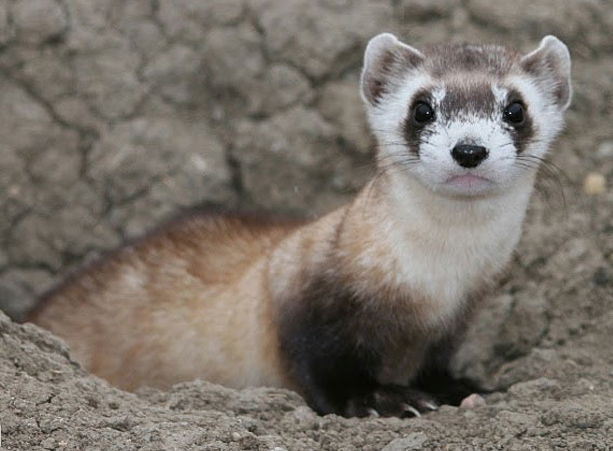 Wild ferrets usually eat small mammals such as prairie dogs, rabbits, and rodents, while domesticated ferrets typically eat a diet composed of pellets containing a high protein content. In the wild, they make their homes from old prairie dog tunnels and burrows from other animals, and domesticated ferrets usually live in cages but need at least four hours per day to run around outside the cage. These creatures love their sleep- they can sleep up to 18 hours per day! In the wild, they are nocturnal animals, but domesticated ferrets can adjust their sleep schedule to their owner’s sleep patterns. Give your ferret a tasty treat – some good treats include a cooked egg, bits of cooked chicken, or turkey, so reward your ferret on this day with a favorite snack! Take your ferret for a walk – Believe it or not, ferrets love going on walks and actually do really well on a leash. Start by training them indoors with a harness and leash, and then begin to make your way outside for walks. Ferrets love to think they outsmarted you – let your ferret think that they have escaped their cage or stolen one of your belongings. It will be the highlight of their day! Spend some time to learn about ferrets and consider adopting one if you don’t already have one. Make them a new piece of bedding. It should be something soft and cozy but easily cleaned in case of an accident. 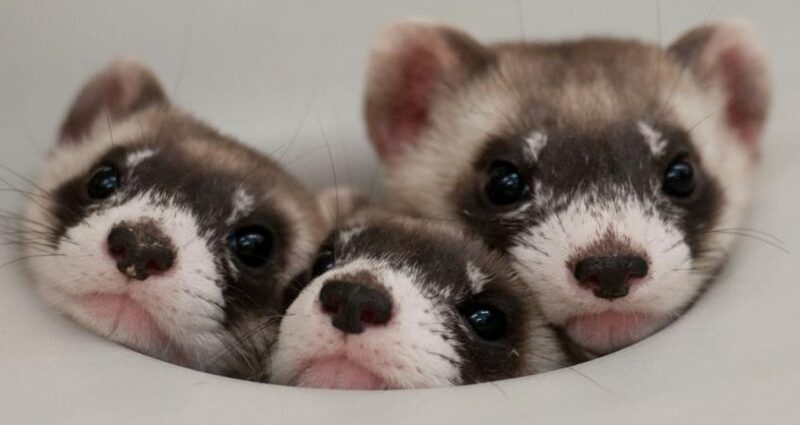 While we love to celebrate these little critters, it is important to recognize that sadly Black-footed ferrets are endangered in the wild. Prairie dogs holes are the main source of shelter for wild ferrets, and the decline in the prairie dog population has majorly impacted the number of ferrets. Their recovery in the wild is vital to the grassland ecosystem and we need to put our efforts into protecting this species. Learn more about the species and how you can help at WWF. Tell us how you plan to celebrate National Ferret Day!